Elegant, exclusive and lovely kerala kasavu half saree with flower embroidery wrapped in a zari border with golden brocade blouse piece and brown brocade davani with cremy jari border highlighting this davani set. 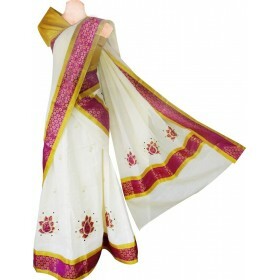 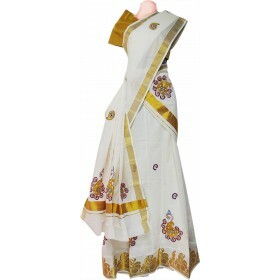 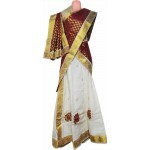 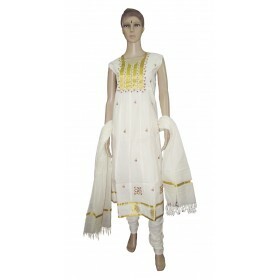 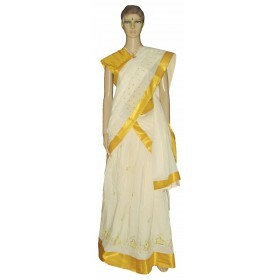 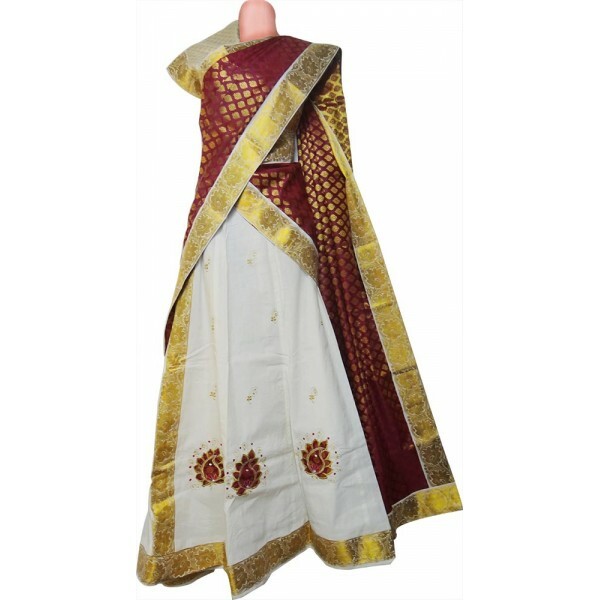 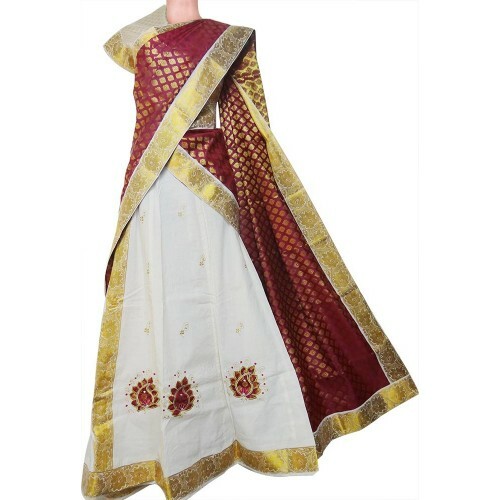 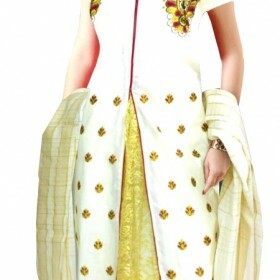 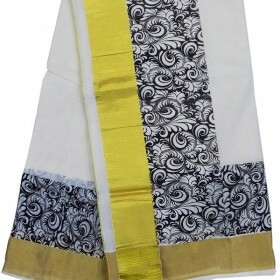 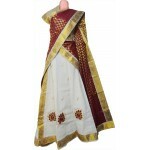 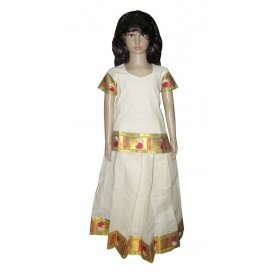 All women’s are wishing to wear the brocade type of dresses for special traditional occasions. 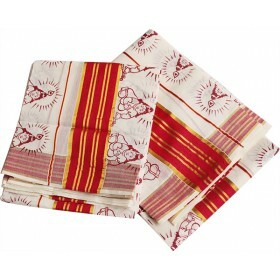 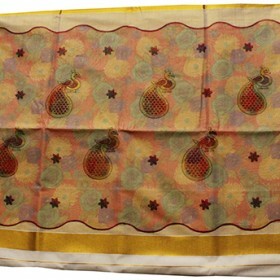 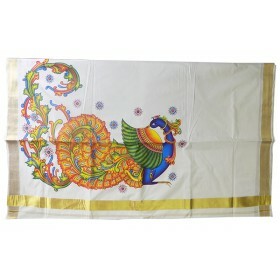 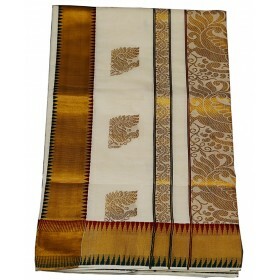 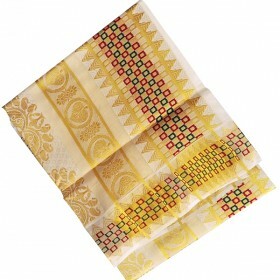 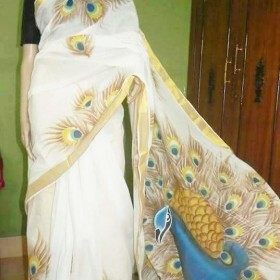 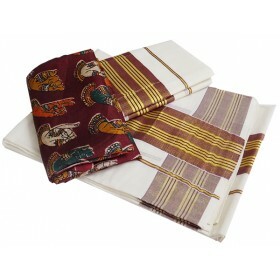 Malabar shopping introduces the brocade davani set, enjoy shopping!